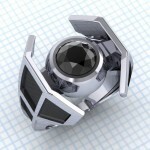 Global Geek News > Cool pictures > This Battlestar Galactica Cylon Engagement Ring is Fraking Amazing! Even though I am personally not a fan of wearing any sort of ring on my fingers, one of my favorite things to post about is geeky rings. I’m not sure why I like geeky jewelry so much, but I do. I guess I see it as the ultimate sign of geek love. It really catches my eye when the rings are inspired by science fiction. 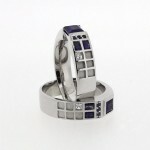 For example, in the past, I have posted a really cool R2-D2 engagement ring, an amazing Stargate wedding ring, a Doctor Who inspired TARDIS engagement ring and even a Star Trek engagement ring. 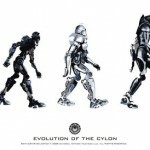 Well, now we can finally add Battlestar Galactica to the lineup! 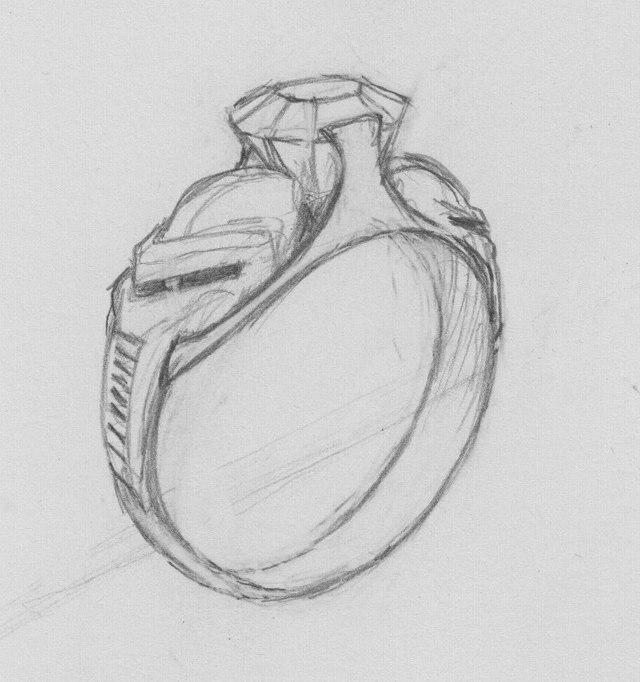 This amazing Battlestar Galactica inspired Cylon engagement ring was designed by Reddit user DisturbedRobot. Apparently he met his bride-to-be at a Battlestar Galactica party (they have those?!) 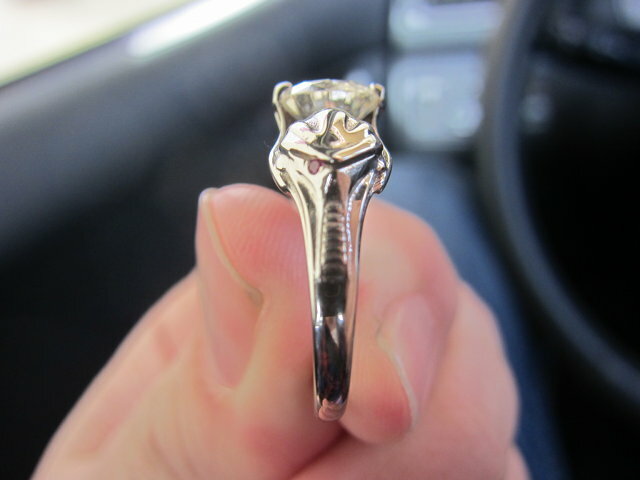 and decided a Cylon ring would be the perfect piece of jewelry to ask her to marry him with. Of course nobody has such a ring for sale so he decided to design the ring himself, create the ring design in Maya and then turn the design over to jewelry crafter Craig Elliott to make the ring itself. I’d say it turned out to be one of the coolest looking rings I have ever seen! 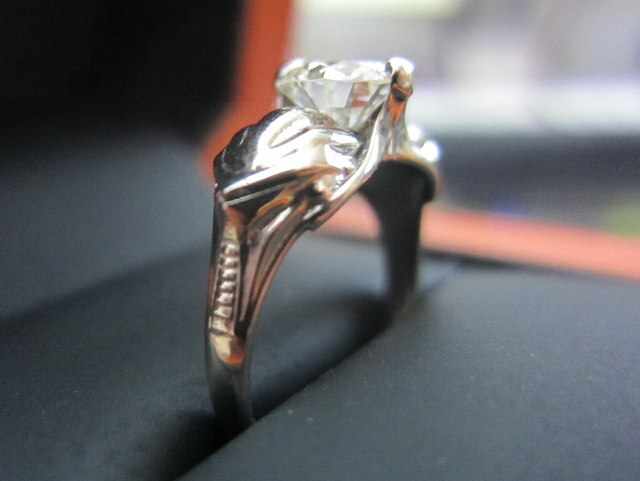 I have to admit that I am kind of jealous because I want this ring! I love how it even has the red dot for the Cylon eye. 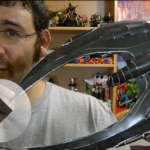 Check out the cool pictures of the Cylon ring below! 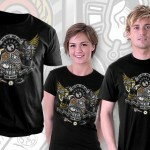 Share this with any Battlestar Galactica fans you know! Like us on Facebook too!